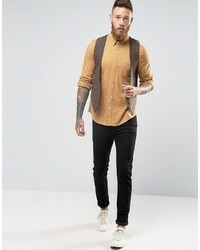 This combo of an Asos slim vest in brown herringbone from Asos and black jeans is very easy to pull together in no time flat, helping you look amazing and ready for anything without spending too much time rummaging through your closet. 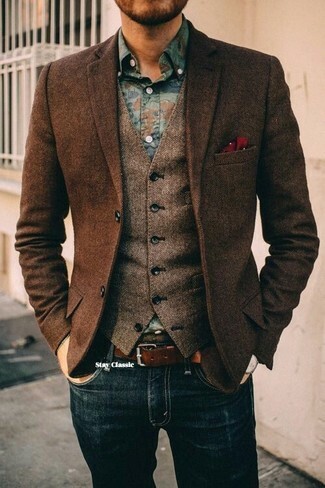 This combination of an Asos brown herringbone wool waistcoat and blue skinny jeans is super easy to throw together in no time, helping you look awesome and ready for anything without spending a ton of time rummaging through your closet. 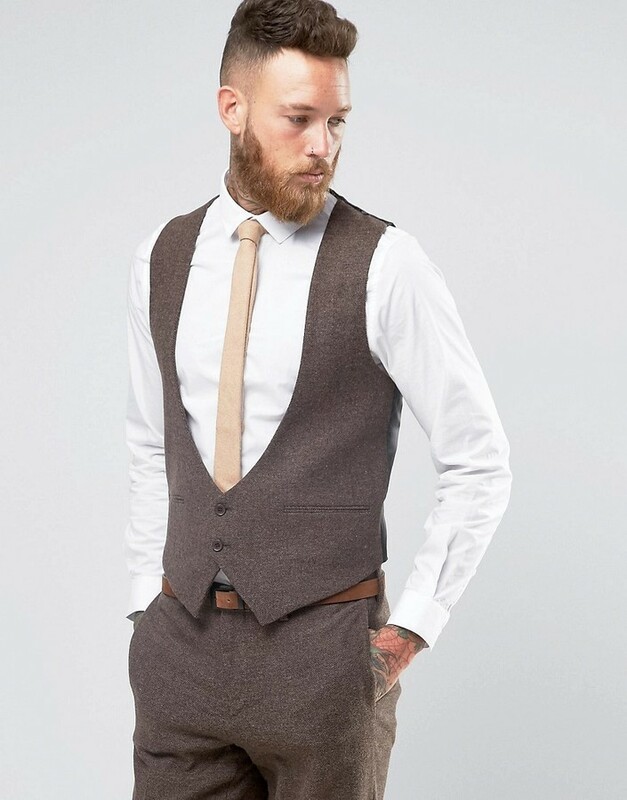 For a casually elegant getup, choose an Asos slim vest in brown herringbone from Asos and black chinos — these two pieces fit pretty good together. 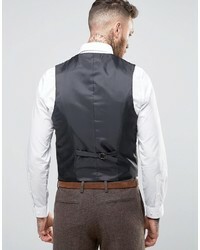 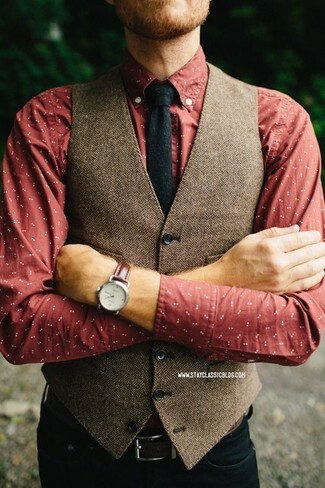 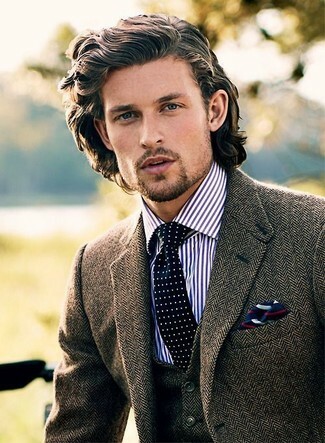 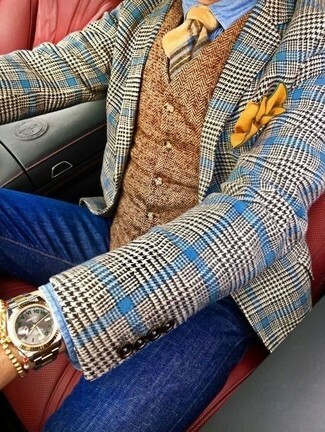 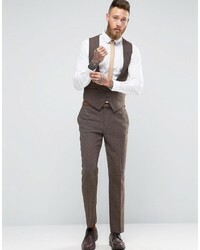 Wear an Asos slim vest in brown herringbone and a brown herringbone wool blazer for a classic and refined silhouette. 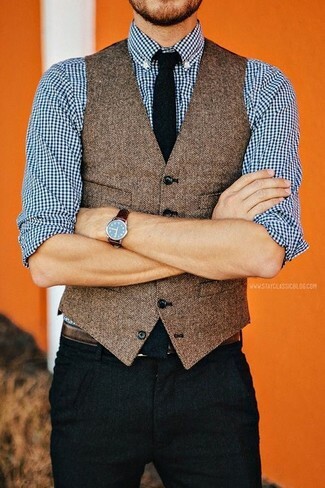 This pairing of an Asos slim vest in brown herringbone and navy jeans is super easy to make up in no time, helping you look sharp and ready for anything without spending a ton of time going through your closet.